The gray Moto 360 has been discontinued today, so this Android Wear-powered smartwatch will only be available in black and stone from now on. 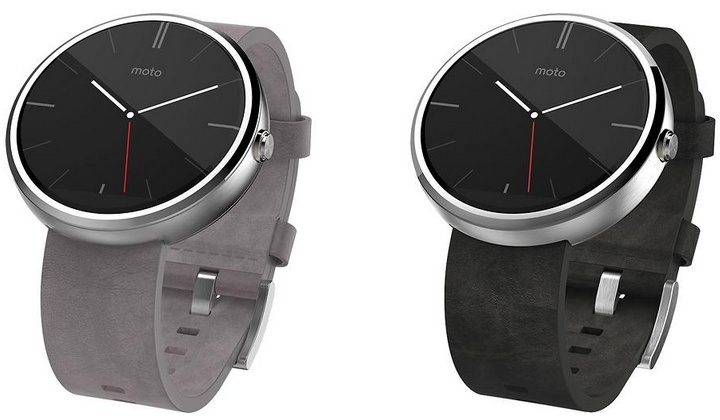 Motorola Moto 360 arrived less than a month ago, on September 5. Back at launch, the colors available were black on black and silver with a grey suede strap. Yesterday, a new choice was spotted online, namely "Stone Leather." This Moto 360 variant is already listed on Best Buy as ready to purchase for the same price as the black and silver models, precisely $249.99 USD. Except the new strap color, this Moto 360 smartwatch has the same specs as before - loaded with Android Wear, has adjustable brightness and band length, 320X290 pixels LCD screen with 1.56 inches diagonal, compatible with smartphones using Android 4.3 Jelly Bean or higher. The device is waterproof, has wireless syncing and packs a heart rate monitor. It also ships pre-loaded with six digital watch faces that add a bit of variety to the user experience. Although this move has been done quietly, there is little doubt that the gray leather model will remain available. "The Gray launch edition appears to be retired," writes Droid Life.